Kim is the first X Games athlete to win two gold medals before turning 16. Awwwwww yeah! On Sunday in Colorado, badass 15-year-old snowboarder Chloe Kim successfully defended her women's snowboard superpipe gold in the final event at Winter X Games Aspen 2016. Last year, Chloe made history by becoming the youngest Winter X Games medalist ever at just 14 years old. 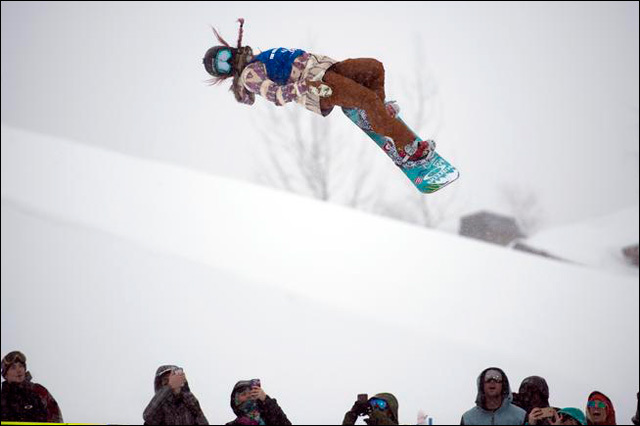 Sunday's win makes her the the first winter athlete to win two X Games gold medals before turning 16. Chloe had a near-perfect first run until she unexpectedly fell on the last hit, putting her in seventh place with a score of 63.00. Her flawless second run propelled her into first with a massive score of 95.00. No other rider came close. Chloe took gold by a full nine points over Arielle Gold, who scored 86.00. 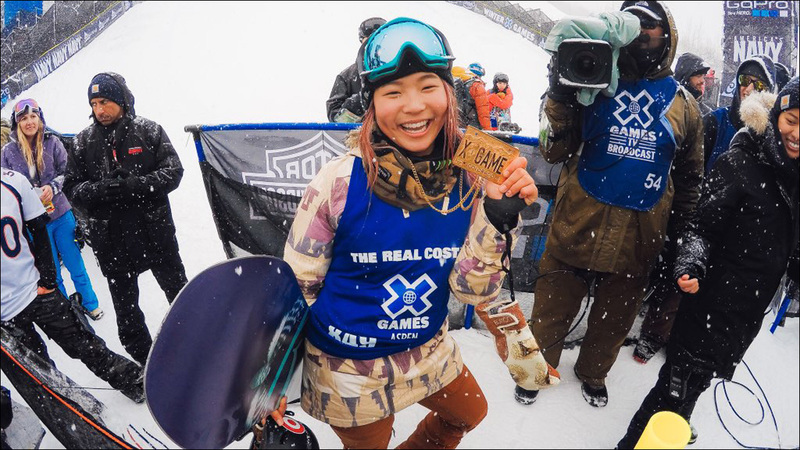 China's Cai Xuetong, competing in her third X Games, won bronze, her first X medal. How badass is this girl? Two years ago, when Chloe made her debut at 13 years old in X Games Aspen 2014 and took the silver medal, they were calling her the future of women's snowboarding. Last year, she snagged gold and de-throned Kelly Clark, the most decorated snowboarder in history. Folks, the future is now.